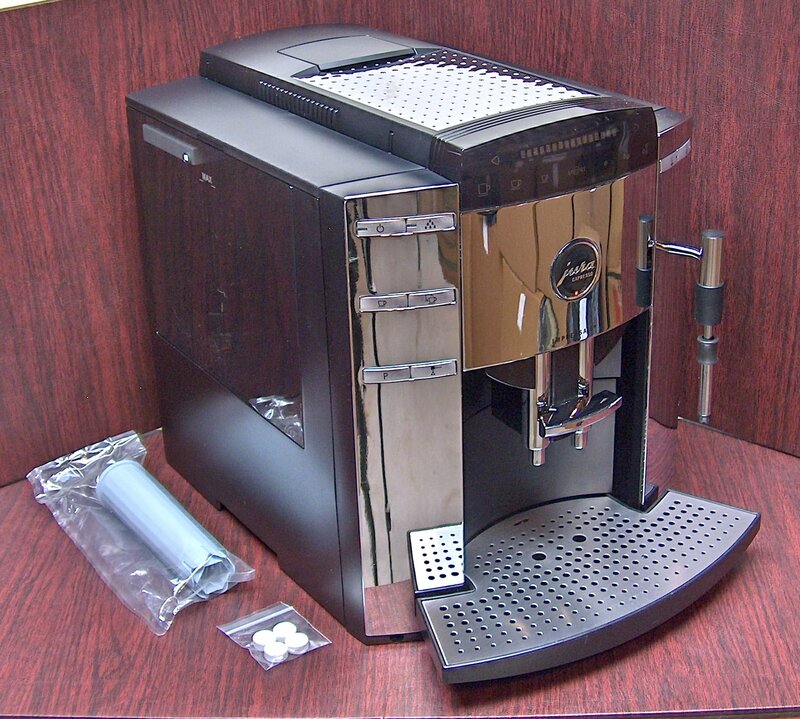 > Jura Impressa F9 Chrome Super Automatic Espresso Machine! Instruction Manual and Quick Start Guide included! Pre-infusion also moistens grounds before brewing begins to allow flavors and aromas to leech through the grounds more deeply. Stainless steel lined thermoblock boiler is durable and provides excellent heat retention for consistency. 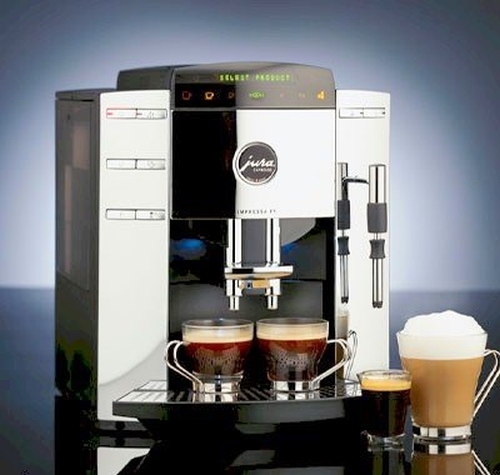 Pre-set buttons for espresso, coffee, or big cups, and mild, normal or strong coffees. Single & Double shot buttons. Display can show total number of cups brewed. Enough water for 40 espressos or 12-cups of coffee at a time. Beautiful Black housing with Mirror Finish chrome front. Includes: Cleaning tablets, Water Hardness testing strip, NEW Claris water filter. NOTE - Surface is Scratched and Dulled behind steam nozzle. 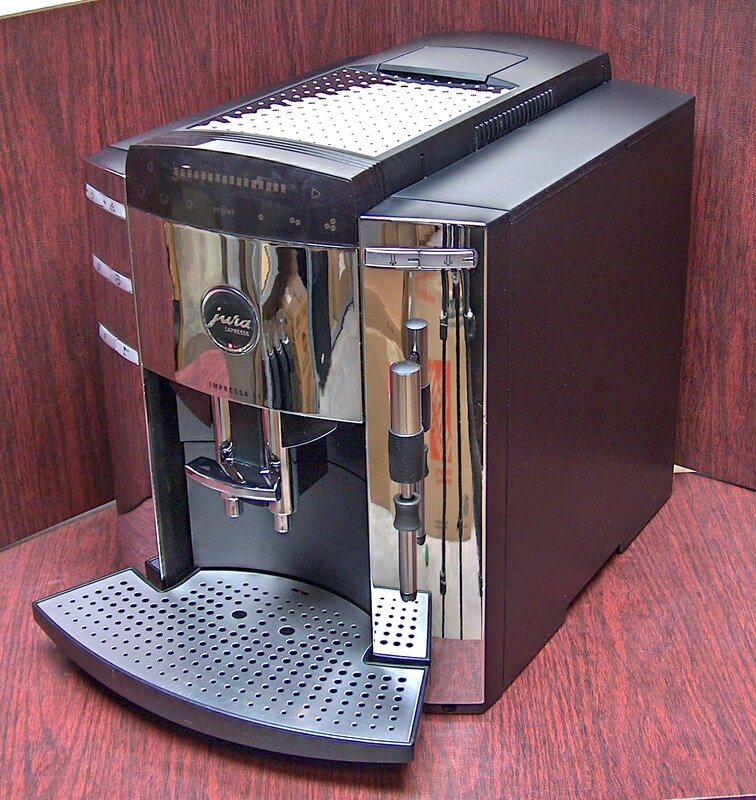 I really love this Jura. 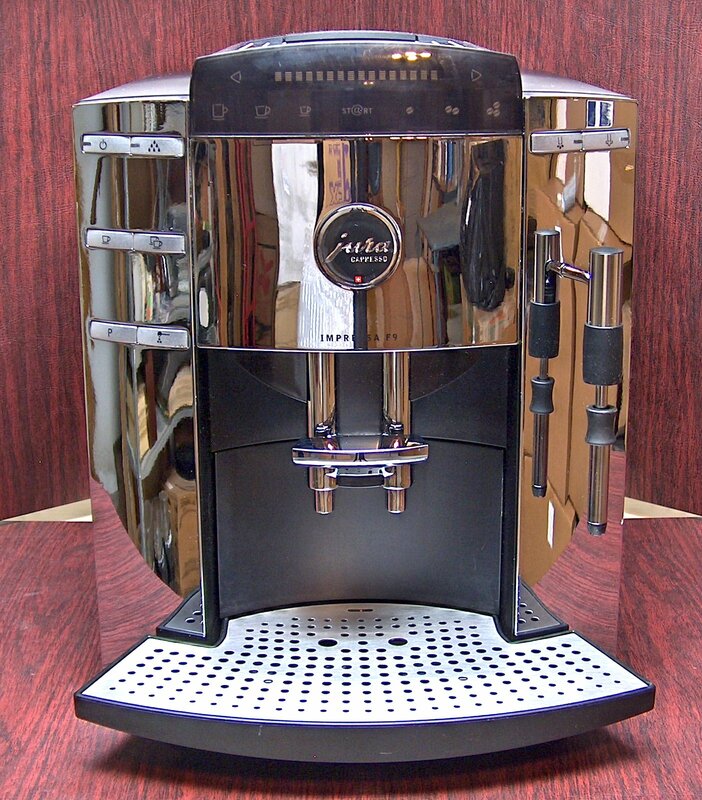 It is quiet, fast, and makes great tasting coffee and espresso. Saves me a lot of money, I don't have to go to BuckStars as often!